If you like our teahouse and enjoy the quietude and beautiful gardens why not consider spending a weekend (or longer) here with us? Right across from the teahouse is a little cottage that could be just right for you. 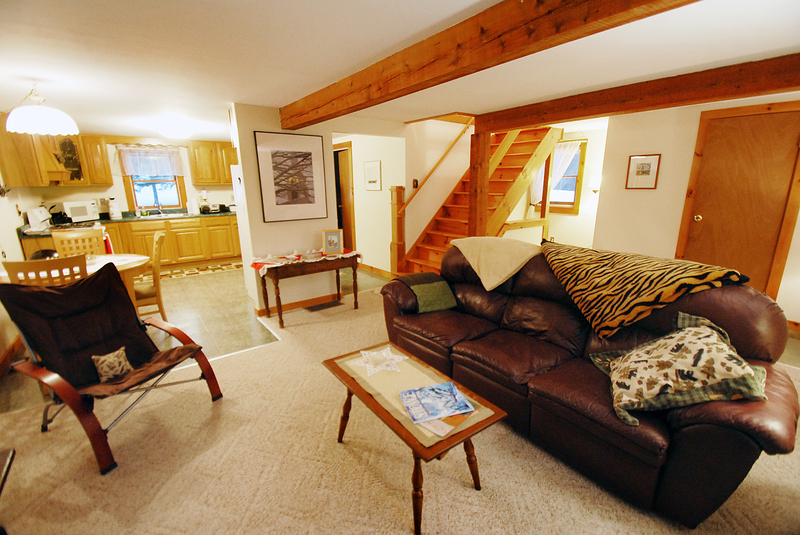 Tannenhaus is a fully furnished cozy two story cape tucked away in a quiet wooded neighborhood. It has a generous open floor plan with kitchen, dining area and living room, and spacious full bath downstairs. One large (24′ x 28′) sunny master bedroom upstairs with two full-size beds. The walk-out basement facing the woods has a separate small room originally used for hobbies or as a home office, as well as a washer and dryer with room to dry clothes or fishing gear, store luggage, bicycles, or skis and snowshoes. We offer free WiFi, satellite TV, and washer and dryer. To view more pictures of Tannenhaus and for booking information, click on the link below.